It is nearly impossible to go through a modern life without being put in a situation in which the skill of swimming is essential. From pool parties to emergencies at the local lake, swimming is more useful than riding a bicycle, but some parents are not quick to introduce their children to the water. This is counterproductive to fostering a successful lifestyle. There are endless benefits that come with knowing how to swim. Not only will your child gain confidence, but swimming will open doors that would otherwise be tightly shut. Who knows, your child could even land a spot on the U.S. Olympic Swim Team in the future! 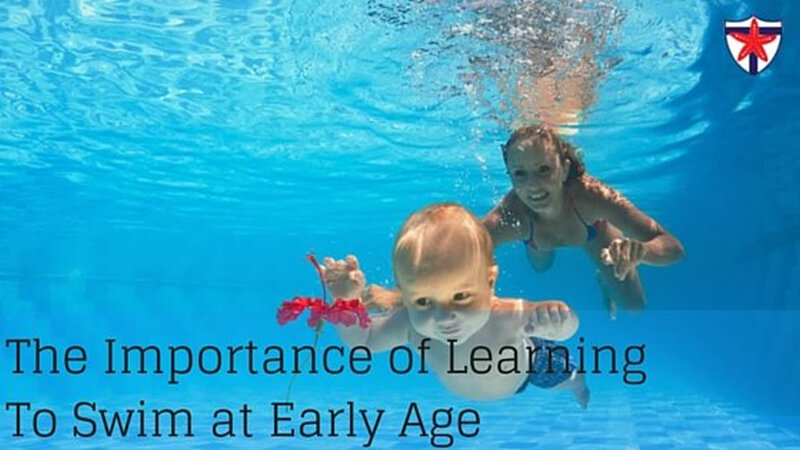 Experts agree, your child should begin learning to swim at the earliest age possible. Here are some of reasons why. Most parents decide to teach their children to swim for one very important reason: Swimming is an essential safety technique that often means the difference between life and death. Drowning is the second leading cause of unintended deaths in children ages 1 to 14, according to the National Safe Kids Campaign. These statistics could be reversed if more children were taught to swim sooner rather than later. Your child should feel comfortable and confident while in the water and have the capabilities to get out if they find themselves in trouble. Swimming is a low impact activity that provides your child with excellent exercise. It is ideal for long term health and wellness, unlike other sports and exercise that contribute to the premature breakdown of the body. Swimming will help to keep your child physically active, even if they do not take an interest in swimming on a competitive team. During the hotter months, when sports that are not inside or do not involve water are nearly intolerable, you may find your child lounging around lazily and developing bad habits. Swimming is a great way to keep your child in shape year around. The sooner that your child knows how to swim, the quicker they can partake in the benefits of the activity. Swimming is not something that your child will have to leave behind as they age. Your child can swim from infancy well into their elderly years. This enjoyable activity can keep them healthy and confident throughout their lifetime. Knowing how to swim will open doors for your child in their social lives, as well as teach them teamwork and time management skills that will benefit them in multiple areas of their life. This activity is more than enjoying the water, swimming is truly a lifelong passion. Learning to swim is an essential skill that should be taught to children at the youngest age possible. If you would like more information on giving your child the gift of the skill of swimming, visit our programs page or contact a representative with the Texas Swim Academy today.